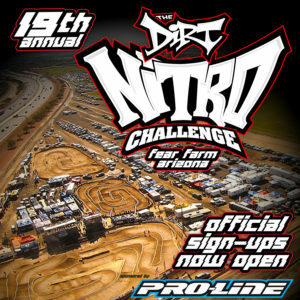 We will once again be shooting some B-Roll footage at the 19th running of "The Dirt Nitro Challenge!" We're trying something different for "Come Drive With Us '18" in that we will be filming 3 JBRL Events and doing a single episode for it. I'm looking forward to shooting this series and it will be a unique episode with all new Characters! 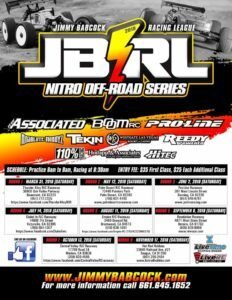 This shoot is pending, but we are currently planning on including the Palm Desert JBRL event into "Come Drive With Us". This is pending however and the schedule might change. Southside Raceway, 1963 SW Bascom Norris Dr.
We are planning on shooting a bit of B-Roll at the ROAR NATS this year. Again, this is ONLY B-ROLL and not a full episode. This footage will find its' way into the 2018 IFMAR Worlds Movie. We will be filming for DNC II, our second sequel of the "Come Drive With Us" series, at the Nitro Challenge this year. We're looking forward to telling the story of this amazing race, now in it's 20th year, at a brand new venue! 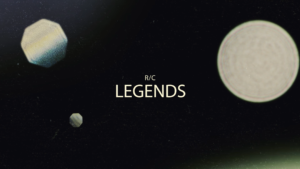 We're doing another "RC Cribs" edition for RC Legends. We're heading back to Texas for the first time since the 2016 ROAR Nats! This time it's off to IndyRC for the Ice Breaker.